It’s a plain fact: the big brands rely on China-based (not Chinese) manufacturing to stay in the bicycle game and even turn a profit. Taiwan companies are behind this by and large. But to find out about who actually makes what and for whom is a very tricky business. Good luck in finding a way through the thickets of interconnections. And a mass of interconnections it is. As we head into Taichung Bike Week 2012, 2014 is uppermost in people’s minds. There will be lots of wheeling and dealing between suppliers and their potential customers. The connnections change every year and the Bike Week meetings are an important hub in the negotiation and re-negotiation of who will produce what for whom. The shadow hanging over all this is the steady rate of bike part recalls: Huffy, Cannondale and Trek, and the tragic death of a Cervelo rider. In this maze of connections sometimes the QC can fall slightly short of perfect along the way and when push comes to shove, the brands take ultimate responsibility for the fate of consumers who suffer the consequences of defective products. But it all comes down to the suppliers. Specialized has had some press over this recently. 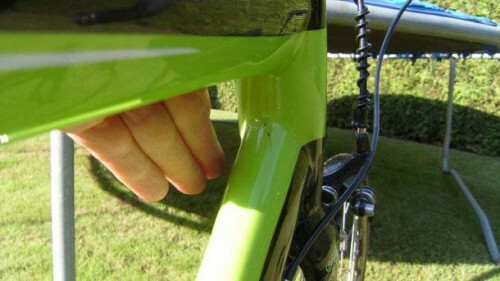 There was an issue with Tektro-supplied brakes and then close behind that comes the issue with the Globe forks. Specialized, in which Merida has a 49% stake (and who in turn outsource much of their own production), is already complex. The forks in this case were sourced from Kinesis. I find this surprising since Kinesis is right at the cutting edge of alloy design and manufacture. Like several other bike component companies in Taiwan (Trigon, Topeak for two others) they were started by a group of ex-Giant employees. A quality outfit, they took out first prize in the Frame category at the now discontinued Taipei Cycle Innovative Products Competiton in 2010 and 2011. 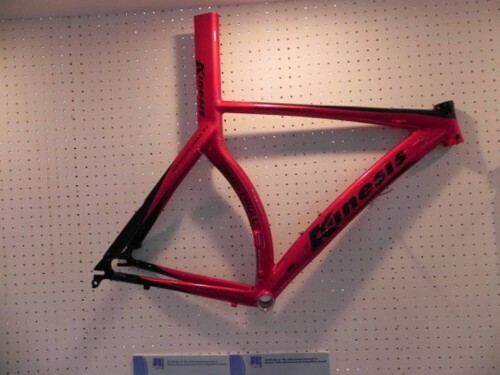 Their winning frames were produced in their a one-of-a-kind SPF (Superplastic Forming) plant, Kinesis being the first to employ this technology in frame manufacturing. You’d have to think you’re on the right track to be selecting them to supply your key bike components. However there are plenty of intervening variables in the production process. Sure, if you want something done properly you really have to do it yourself. But that’s hardly efficient and certainly not the way to profits. In the web of connections somewhere along the way defects will occur. Still, that’s no consolation for the extremely unlucky cyclist who ends up on the pointy end of defective products. Is this a price that must be paid? I don’t know about you but after a minute or two of watching, I just want to jump on the bike at get out there. I daresay, though, the weather will be mighty chilly here in the very near future. If there are any readers from this area, give us an update. What is your cycling schedule looking like as we descend into winter?